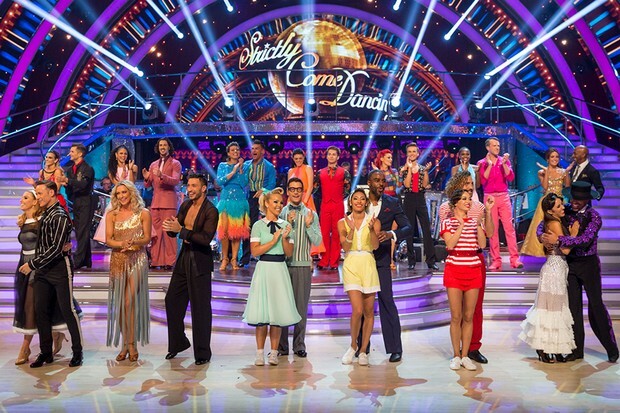 Strictly Come Dancing is known for the dreaded ‘Strictly Curse’ and although we are only a few weeks into the latest series, it has already happened on two separate occasions. If you’re a little bit unsure of what the Strictly curse is; in simple terms, it’s when a celebrity in a relationship joins the show and upon getting close to their dance partner, they end up splitting with their real-life partner. This has happened time and time again over the years, but it seems as though it is starting to become more of a regular occurrence. Just last week, Seann Walsh and his dance partner Katya Jones shared a ‘drunken kiss’ whilst on a night out in London on Seann’s girlfriend’s birthday. The pair were filmed sharing a passionate moment outside of The Duke of York pub in Marylebone. It was reported that they had been flirting for weeks, therefore the kiss came as no surprise to those who had seen their relationship blossom. Before the footage circulated the net, fans who had only heard rumours claimed they would no longer be supporting the couple if there was proof they had both cheated on their partners. Witnesses of the pub have now come forward and declared that it wasn’t the ‘drunken kiss’ they had made it out to be to the press, but the pair had in fact been kissing on a regular occurrence until they got caught out. One of the locals at the pub told The Sun Online: “Katya and Seann came into the pub every night that week at about 9.30pm. They weren’t wearing workout gear when they came in and didn’t seem to be coming from the dance studio around the corner. Once the news was revealed, Seann’s partner, Rebecca Humphries dumped him. Reports claim that he’d been calling her a ‘physco’ for weeks due to having her suspicions. According to the latest Strictly news, professional dancer, Dianne Buswell has broken up with her boyfriend Anthony Quinlan, who plays the role of Pete Barton in Emmerdale. The pair had been dating for 10 months. A spokesperson for Dianne told The Daily Star: “Due to their busy schedules and distance they have split, but still remain really close friends.” According to the newspaper, Anthony called it quits on the relationship after having suspicions that Dianne has been getting cosy with her Strictly partner, Joe Sugg. The Sun revealed that those involved in the show had noticed how her and Joe’s relationship had been developing with possible romantic intentions over the past few weeks. If all that wasn’t dramatic enough, professional Strictly dancer, Giovanni Pernice, has had to talk to the press to deny an affair with former Steps singer and dance partner, Faye Tozer. Former professional dancer, Gleb Savchenko presumed most couples on this series of the BBC show had been ‘cheating’ on their real-life partners and that Giovanni and Faye ‘could have hooked up’. “A lot of stuff happens secretly that we don’t know about. It’s obvious the dancers have feelings – it’s not necessarily that they want to go and (make love to) them but a lot of people do. Faye has been married for nine years to husband, Michael and they have a son, Benjamin. It’s not the first time Giovanni has been a part of the Strictly curse though. Back in 2015, he got into a relationship with Coronation Street actress, Georgia May Foote who dumped her boyfriend, Sean Ward to be with him. He then went on to date TOWIE’s Jessica Wright, but is now single.